Get a flu shot without leaving your vehicle as part of the 2nd Annual Drive-Through Flu Vaccination Clinic to be held at Kellogg Community College this Friday. The Calhoun County Public Health Department, assisted by KCC Nursing Program students, will be offering drive-through flu shots on KCC’s North Avenue campus in Battle Creek from 11 a.m. to 6 p.m. Oct. 9. 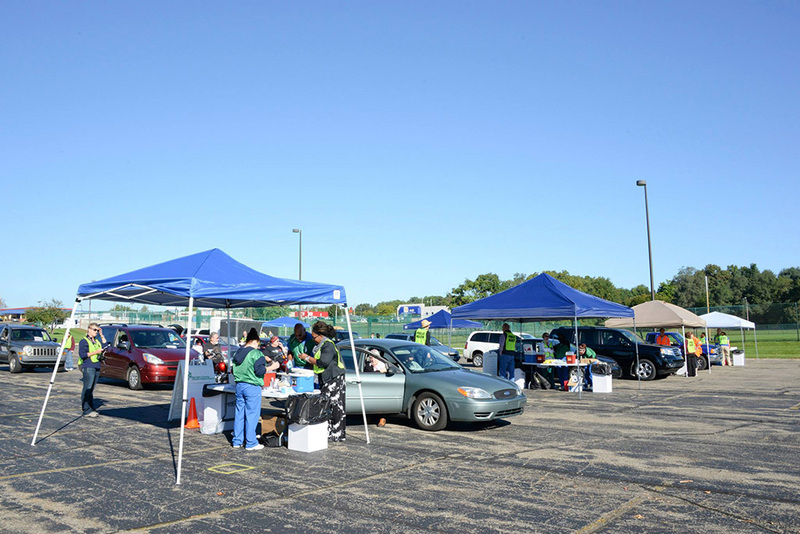 The shots will be offered to those ages 6 months old and older in KCC’s Parking Lot G, which is adjacent to the soccer field by the Miller Physical Education Building. Traffic will be entering from North Avenue and exiting onto Roosevelt Avenue. View a campus map online at www.kellogg.edu/wp-content/uploads/2013/10/campus-map-2013.pdf. Flu vaccines/mist will cost $36 to $52; pneumonia vaccines will also be available and will cost $83 to $172. Cash and checks will be accepted, as will insurance including Medicaid, Medicare, Medicare Plus Blue, Blue Cross Blue Shield of Michigan and many more. For quicker service, please print and fill out the 2015-16 Flu Form in advance, which is available online at www.calhouncountymi.gov/assets/1/7/2015_Flu_Form.pdf. A separate form must be completed for every individual receiving treatment. Bring the form with you along with a photo ID and your insurance card. A short-sleeved shirt is recommended for those receiving shots. For more information about the 2nd Annual Drive-Through Flu Vaccination Clinic at KCC, contact the Calhoun County Public Health Department at 269-965-6363. *Please note: Anyone allergic to eggs cannot get the flu shot.